A unique concept, a radical design, avant-garde headset. 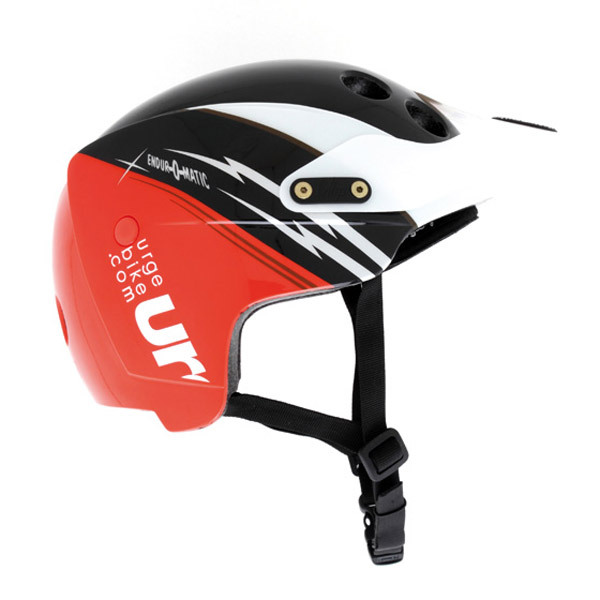 Inspired by DH and Enduro but suitable for all disciplines, with an optimized surface protection and In-Mould technology. 8 round vents (30mm diameter) are strategically positioned to create a Venturi effect. 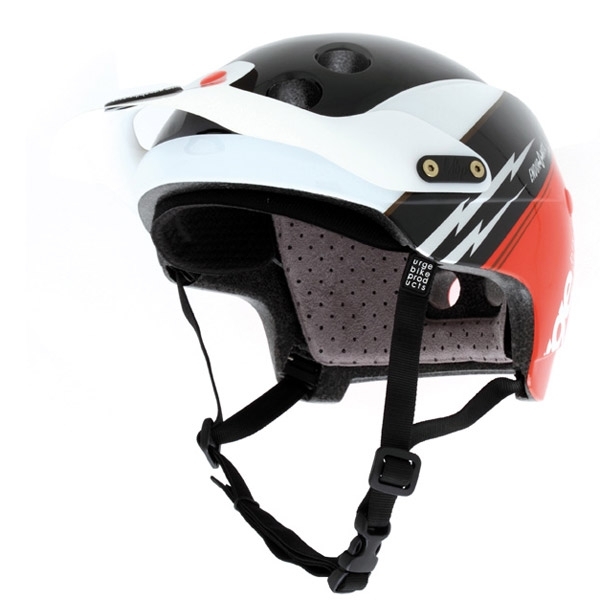 The air flow is controlled by channels internes.Le weight of the visor is almost zero and the material is flexible to prevent injury in case of accident. Its design contributes to create an internal Venturi effect by guiding air to aérations.Le comfort is assured by soft, removable and washable. The foam front has a unique simple innovation: the "Gangsta Pad". In excess of the hull about 15MM and remaining in contact with the air, this part of the pad remains dry and absorbs sweat. One for Enduro, All Mountain helmet, XC, Single speed and urban practices. In short, the Endur-o-Matic is totally new and unique in many ways. This is the helmet that you want to roll. It has a simple design and class ... the only thing left to do is create the style that goes with it!! Two shell sizes: S / M (54/57cm) and L / XL (58/60cm) comes with pads of different thicknesses to fit perfectly to your body.